There are so many ways to produce and distribute fine art and professional photography in the digital age. Are you taking advantage of the latest tools and techniques to get your work – or your customers’ work – noticed? Are you taking advantage of the wildly creative and hugely profitable digital printing options for producing limited editions on fine art papers as well as almost any other substrate you can imagine? Photo and fine art professionals turn to us to get perfect colour, reliably, and repeatability, regardless of what type of output device they are using, and for tools and techniques that can broaden their offerings to customers. 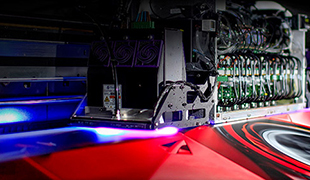 From extremely high quality UV inkjet printing to world-class colour management to tools that improve your productivity in sales and customer service, EFI has the solutions you need. With the ability to produce near photographic image quality, direct printing on a wide range of traditional as well as unusual substrates with process colours and white, EFI inkjet and proofing solutions open doors to unique creative opportunities for the digital printing of photos and fine art reproductions. 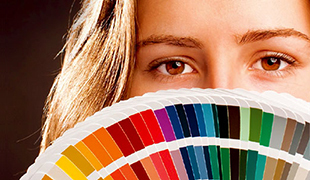 Colour management is the key to beautiful, vibrant and accurate results. Built-in quality control tools mean you can benefit from superior prints every time, without fail.